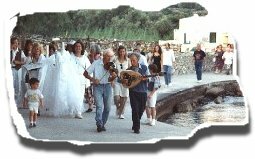 Want to Get Married in Greece? Are you thinking of being married honeymooning or renewing your vows in Greece? The planning can be an extremely daunting task as there are so many options giving you so many choices that it's hard to know where to start! Once you have that figured out then you have to figure out what you need to do to get married. What happens when it turns out that there is no way to get married on the island that you've planned your whole trip around? Then it's time to start the whole planning process all over again. Planning a trip to Greece is hard enough, but when you throw in a wedding, it's enough to make you throw in the towel and catch the next flight to Vegas! My goal is to help you plan your trip to Greece so that you avoid the pitfalls of planning and can efficiently use your time to make this the best wedding and vacation that you've ever had! Visit this site to search for many engines at one time for Low Air Fares!